The company has since evolved into the dominant force in China's e-commerce industry, a market with so much potential that Alibaba's IPO may be the largest ever by a tech company -- surpassing even the $16 billion raised by Facebook. 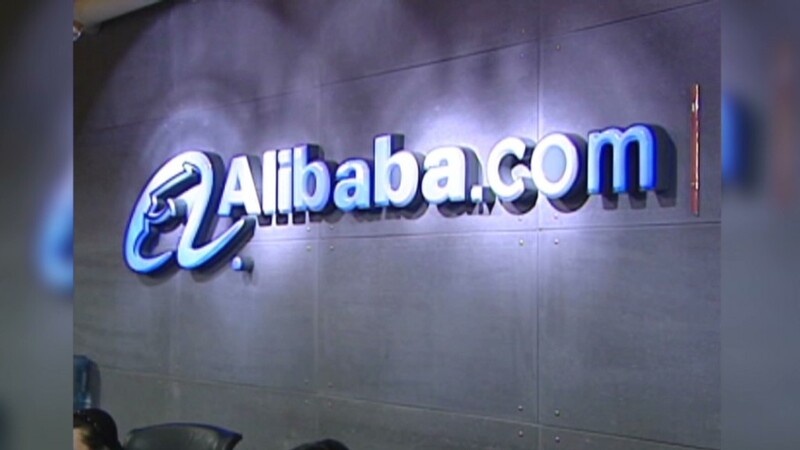 Alibaba is often described as a combination of Amazon (AMZN) and eBay (EBAY), with some PayPal sprinkled in to boot. But the shorthand fails to capture the breadth of the business model dreamed up by Ma. On last year's Singles Day -- China's version of Cyber Monday -- sales on Alibaba's shopping sites clocked in at $5.7 billion, more than double America's Cyber Monday figure. The company's top two e-commerce sites, Taobao and Tmall, attract more than 100 million unique visitors each day, on par with what Twitter (TWTR) reported before its IPO. Unlike Amazon, the company does not sell directly to consumers. Instead, it allows users to search the merchandise offered by sellers in thousands of digital stores. Alibaba is more than its flagship marketplaces. It also runs a wholesale operation, a cloud computing business, and Alipay -- a digital payment service. In a first step into finance, the company has started to offer investment funds. The scale of the business is massive -- and profitable. Yahoo has a 24% stake in Alibaba, and its financial reports offer a peak at the company's earnings. Alibaba's sales rose 66% in the fourth quarter of 2013 versus the year prior, while earnings surged 110% to $1.4 billion. In the most recent quarter, Facebook (FB) reported income of $523 million and Amazon earned $177 million. Twitter has yet to post a profit. The results have led analysts to produce sky-high forecasts for Alibaba's valuation, with some reaching more than $170 billion. One of Alibaba's biggest assets is Ma, who has stepped down as CEO but remains chairman of the company. He's a charismatic leader with a reputation for bold ideas. Before founding Alibaba, Ma was twice rejected from a teaching college and was even turned away by a local KFC restaurant. But he has flourished as a tech executive, surviving a series of challenges from companies including eBay, which bought Chinese auction competitor EachNet in 2003. Ma attributed his triumph in that case to Alibaba's home field advantage. "I know the Chinese user market and users better than [former eBay CEO] Meg Whitman," Ma told the Wall Street Journal in 2005 as he stole market share from the American firm. Now, Ma and other Alibaba stakeholders are eager to retain their control over the company, something that complicated its search for a suitable listing exchange. Other challenges are on the horizon, especially from rival Chinese firm Tencent, which has been spinning a web of mobile, telecom and online retail businesses that rank among the largest in the world. It's best known as the operator of QQ, a desktop messaging service, and mobile messaging app WeChat. Tencent is already public, and one of the best performing stocks of the past decade, increasing almost 13,000% since listing in Hong Kong in 2004. The firm now boasts a market cap of $125 billion -- more than McDonald's (MCD) or Boeing (BA).